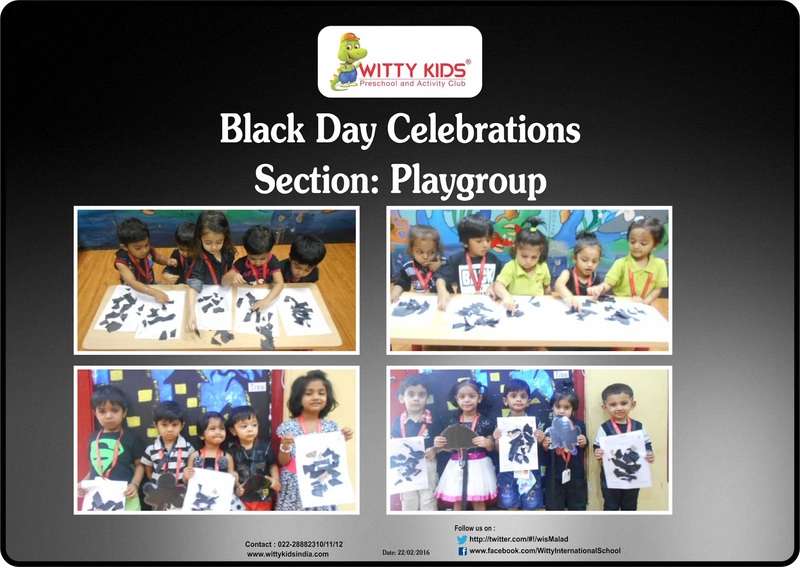 On Monday ,22nd February 2016, little Wittians of Witty International School celebrated “Black Colour Day”. Children were introduced to the beauties of black colour through different black colour objects. Teachers and children came dressed in black colour attire. The class was decorated with black colour object flash cards. Children enjoyed doing the art activity and had great fun! !